Steven Elwell is Chief Investment Officer and co-owner of Level Financial Advisors. He graduated from SUNY Alfred in 2007 with a bachelor’s degree in Financial Planning. Steven has been a CERTIFIED FINANCIAL PLANNER™ practitioner since 2009. 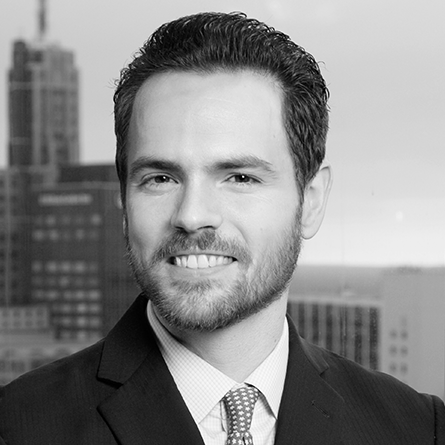 Steven has been quoted in such publications as The Wall Street Journal,The Huffington Post, The Buffalo News, Investment News, and The Dow Jones Newswire. He also has appeared on WIVB-TV Channel 4 News and WBEN radio. Steven is married to his lovely wife Breanna and the two enjoy traveling together. You can find him on the golf course during the summer months and at Buffalo Sabres hockey games in the winter months. Steven also enjoys live music and is regularly found at one of Buffalo’s many restaurants.